Baron’s Designs (formerly Baron’s Den) was opened in 1968 by Tony Golobitsh as a men’s hairstyling salon. As the needs of the client changed, so did the salon, to the selection and level of services offered today. Each stylist at the Baron’s Designs is a part of a unique team committed to providing exceptional customer service. We give 100% of ourselves to meet your needs. If you feel you did not receive what you expected from a service or product, we will do our best to meet your expectations or give you a full refund. The salon is in a free standing building with a white porcelian brick front in Joliet’s downtown City Center. The atmosphere is different from malls and strip centers. There is history and architecture here; from the Rialto Square Theater (built in the early 1900s), to Joliet Central Campus and Joliet Public Library. Drive over the DesPlaines River (yes, there are fish in it!) to the magnificent homes of the Upper Bluff Cathedral Area. We also have the new Harrah’s Casino & Hotel and more to come. So while you are here, absorb the sights and indulge in some good food from our City Center restaurants. 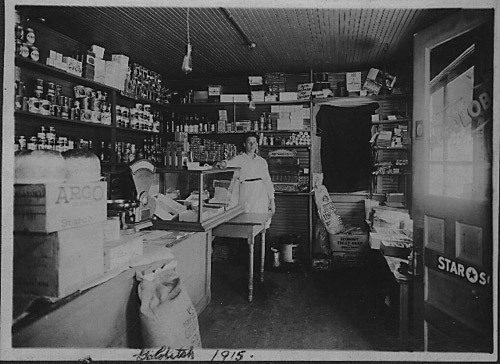 The Golobitsh family has been living and doing business on this property since 1889. So when you enter the building, it feels as if you are entering into the owner’s home as a guest. 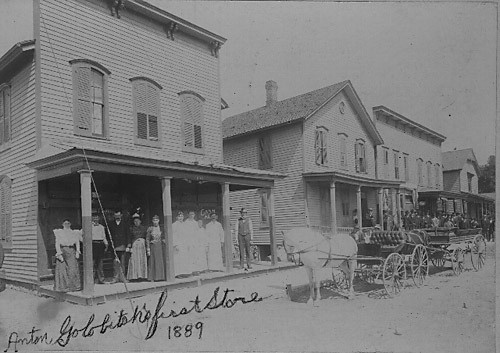 The owner’s (Tony Golobitsh) grandfather arrived here from Slovenia to open a general merchandise store and coal business on this corner in 1889. The building the salon is in was built in, and the house next door was originally the nun’s convent from St. Joseph’s Church. It was moved to this location sometime in the early 1900’s.